Haivision today announced its complete suite of streaming solutions that extend, unify, preserve and enhance the worship experience by connecting churches, ministries, congregations and people with the highest quality multi-site and online video streaming. 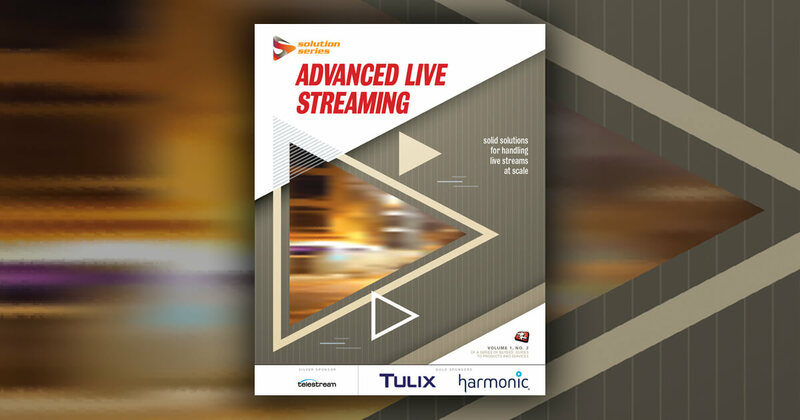 Haivision Connect DVR (announced today): An end-to-end service package for time delayed distribution of single or dual synchronized high-quality streams from the source venue to up to 25 remote venues over low-cost public Internet connections. Makito X with SRT: Single or dual stream low latency encoders and decoders for live, low latency video distribution over low-cost, public Internet connections. KulaByte: The highest quality Internet streaming source encoder specifically designed for the challenges of the faith market. Haivision Video Cloud: The video content management system allows churches to automate the publishing of video assets and collections quickly to the web, reach all audiences on any device, syndicate across many portals, and measure audience response and system performance in real time. The new Haivision Connect DVR service enables multi-site ministries to deliver one or two high quality synchronized time-delayed streams from the source venue to up to 25 remote locations. Leveraging low-cost public Internet connections, Haivision Connect DVR is an end-to-end solution that includes a Haivision KulaByte source encoder, the cloud-based DVR streaming service and the new Haivision Display Engine DVR dual stream playout appliance for each remote site. The central location is given complete control of outbound video streaming and each remote location has independent control of on-site video playout. The service can be configured with full stream redundancy and high/low streaming so remote locations can accommodate for lower bandwidth. Haivision delivers end-to-end solutions for streaming, encoding, recording, managing, and distributing secure video and interactive media within the enterprise, education, medical/healthcare, and federal/military industries. Haivision is a private company based in Montreal and Chicago with regional offices in Austin, Tx; Atlanta, Ga.; Portland, Or. ; Washington D.C. and Hamburg, Germany. With a global sales and support organization, Haivision distributes its products through value-added resellers, system integrators, distributors, and OEMs worldwide. More information is available at www.haivision.com.